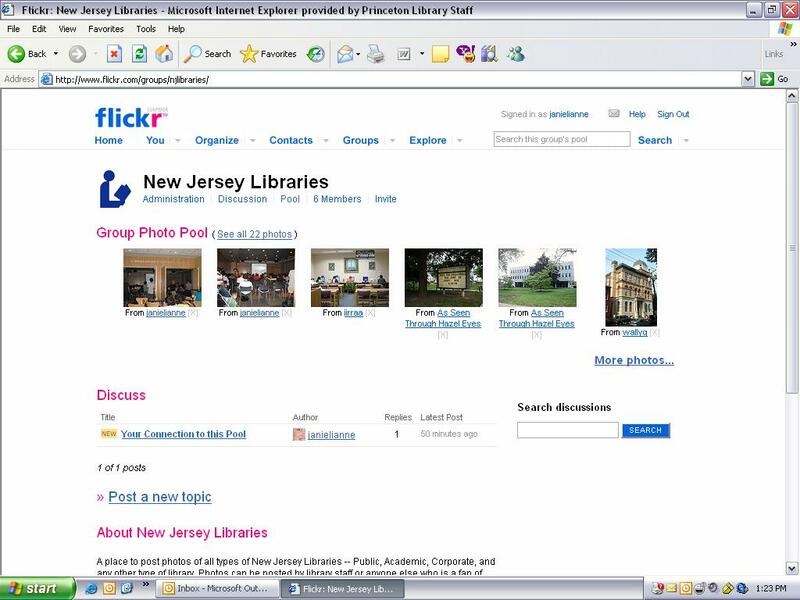 On August 23rd Sophie Brookover, Robert Lackie and I presented “Better Communication with Web 2.o Tools” for a CJRLC workshop that was attended by their executive board and other key players in the Central Jersey library region. It was a fun day and it was great to see all the ideas generated by the group on how blogs, wikis and other 2.0 tools could be used to expand services and improve communication. Just before the lunch break Connie Paul, the executive director of CJRLC, suggested the idea that a Flickr photo pool be created to promote all libraries inNew Jersey and asked us to coordinate. 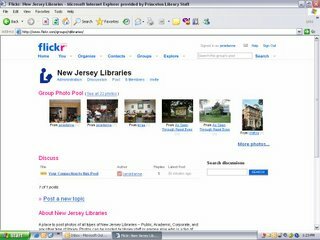 The photo pool has been established and is ready for members and the addition of lots of photos that will showcase Garden State library buildings and programs. Well, we heard about the deal that Google made with MySpace a few weeks ago, being the only search engine to provide search for and advertising on MySpaces’s site. Now, in related social networking news, another major search engine has struck a deal with another popular site: Facebook, which has two specific sites, one for high school and one for college-age participants. This time, Microsoft is the one who struck a deal. They will “provide and sell banner ads and sponsored ads on Facebook.” Click here for today’s New York Times article detailing the 3-year deal. 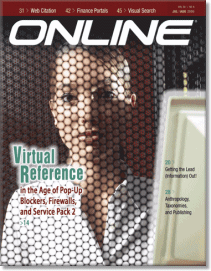 You talk a lot about Web 1.0, the Internet boom in the late ’90s, and the next wave, Web 2.0. What’s the difference? When you look at 1.0, it was really the democratization of access to information. Whether you’re sitting in a Harvard law library or a row house in Dublin or a grass hut in Africa, as long as you could access the Internet, you had access to the same information as everyone else. Web 2.0 is really the democratization of participation. When you think about the blogs and the wikis and the MySpaces, what’s really happening is now everyone has a voice. Your currency in the 2.0 world is only based on the strength and credibility of your writing or your argument. We’ve gone from where it used to be “If you build it, they will come.” Now it’s “If they build it, they will come.” I’m actually more excited about 2.0 than I was about 1.0. Just thought I would share in case others wanted to bookmark it too. But why limit IM to reference? We don’t limit the phone to reference, do we? IM is just another way for our customers to contact us. Larger libraries can give each department their own IM identities, (i.e. “extensions”) and let the customer choose which department to connect with. If a session needs to be ‘tranfered’ to another department, library staff can invite the customer and someone from the correct department into a new chat room, and viola! 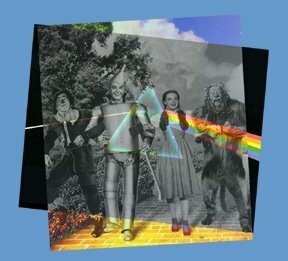 the session has been tranfered. So many of our customers are on their computers all day (and night) it just makes good sense to give them a quick, convenient option for contacting us. Jean Ferguson said that she that her campus enterprise IM software (Jabber) doesn’t talk to commercial IM networks (like AOL). One final, more personal point before wrapping this up. I’m unhappy with the snarky tone I took in responding to Lupien’s article in part one, and I realize it was not productive to take such a tone. It came partly from writing much to late, while far too tired, and partly from my own deep wish for librarians to stay focused on the bigger picture of customer experience, and my perception that the article lacked that focus (whether it did or didn’t, dear reader, you may decide.) I am not trying to make excuses for my snarkiness, just offering a little self-reflection from a nascent blogger, tinged with a bit of regret. I will try to do better. I am convinced that Pascal Lupien cares deeply about the vitality and relevance of libraries and the importance of customer experience. I recently found a copy of his presentation, (along with Lorna Rourke) Adding a Personal Touch to a Virtual World, presented at Computers in Libraries, 2006. This presentation gave me a fuller picture of Pascal Lupien’s attitudes, concerns, and values and I found myself nodding in almost constant appreciation and agreement with his work. OK, that’s all I’ll be posting about VR for now. Back to customer service!